the Gregory Z 30 is a large, spacious daypack designed for fast and light outings and peak bagging. The new ventilated CrossFlo suspension lifts the pack away from the body, allowing air to flow through, keeping the hiker dry and comfortable. I’ve put mine through the paces and it’s turned out to be a solid option for year round hiking. The Z30 packs a lot of storage, swallowing 30 liters of gear. 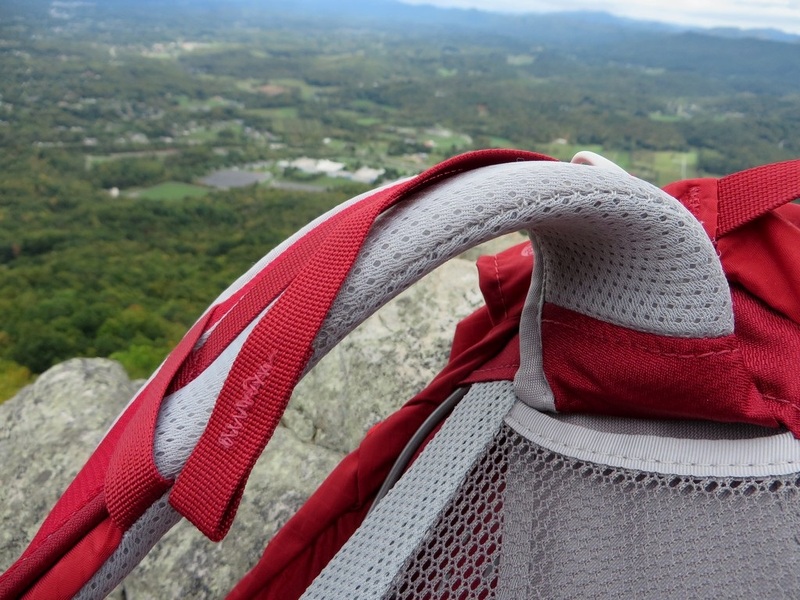 The pack is built primarily of a durable polyester and nylon with EVA foam lining the straps. The main feature here is the new CrossFlo suspension, which is a tightly stretched fabric over the arched metal frame. The suspension is a crossing metal wire that extends into the bottom of the pack.This moves the pack away from the body,creating a large open area against the spine for better ventilation. The pack sports padded shoulders and hips, made of a soft EVA foam. The main compartment is accessed via a large central zipper, separated into two compartments to aid in organization. 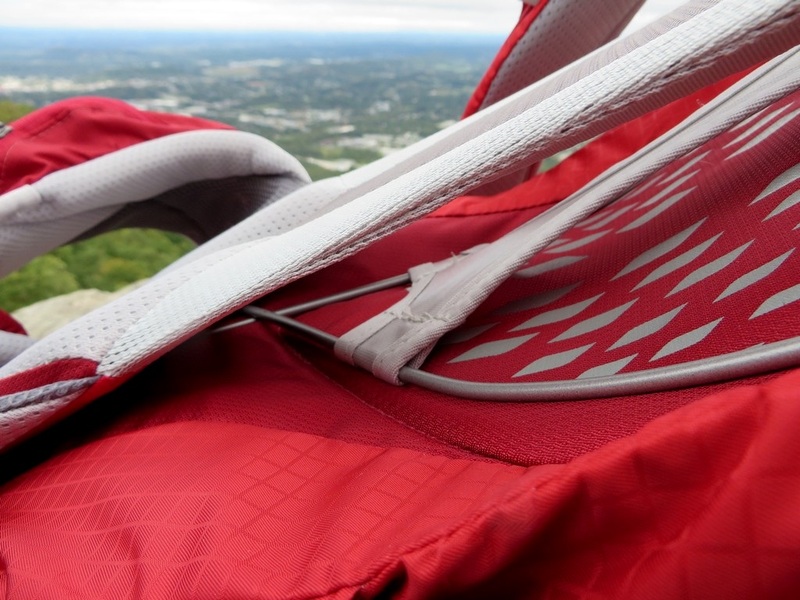 There are two large stretchy water bottle pockets, two hip-belt pockets, ice pick straps, and bottom accessory straps for hanging gear externally. A rain cover is included, and stashes away behind the extendable bucket pocket for safe keeping. The pack retails for $139, and weighs 2 lbs 6 oz. 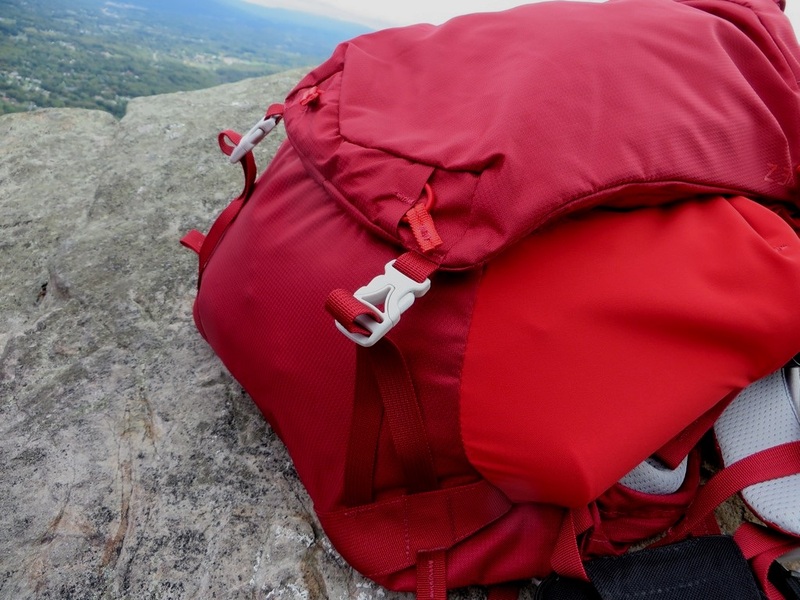 The Z 30 is perhaps the most comfortable light weight daypack that I’ve ever tested. This is thanks largely to the clever use of materials and a well built frame. Where many packs cut away comfort material in an effort to shave weight (the framing, padding and suspension), Gregory reinforced with lightweight materials. The result is a light weight, yet comfy design. The sturdy frame is built from a simple crossing bar that winds through the back of the pack. 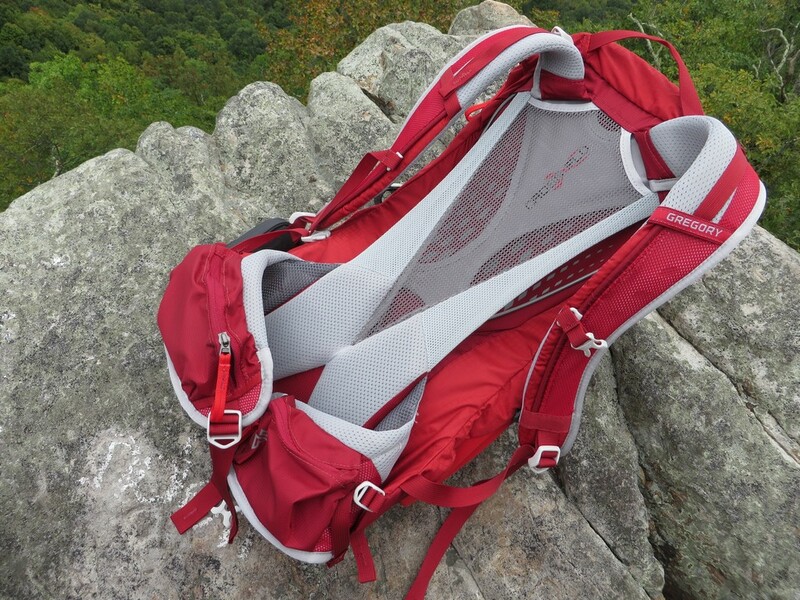 It’s light weight, but it’s enough structure to keep the pack from sagging or buckling when it’s loaded down. The EVA foam sits gently across the hips and shoulders, providing ample padding to avoid any pressure points that might show up without it. The CrossFlo suspension is essentially a taut mesh stretched over the arched frame, creating a breezeway. This open back panel allowed in plenty of air and kept me dry while climbing up steep 1000 foot climbs, without building up any heat. The pack is very adjustable, with load straps that can be tightened down, a chest buckle that slides easily into position without slipping, and hip pads that cinch up close without feeling like their in the way. this all comes together to create a great, snug fit that doesn’t shift or chaff. I always found myself with more pockets than I needed. A total of 6 external pockets allowed me to keep everything organized and tidy, without having to dig for anything. 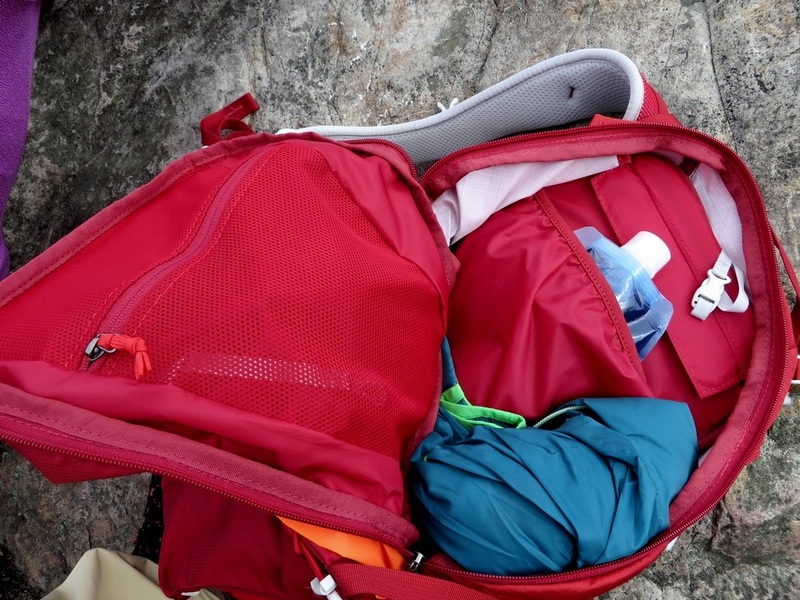 The zips on the top of the pack are very convenient to access, and they’re separated up so that you don’t have to stuff too many items into one area, which creates a situation where you have to dig for gear in lesser packs. Snacks go in the hip belts, water inside in the bladder compartment, my jackets and rain gear in the bucket compartment on the back, and even my keys found safe haven with a built in security clip. Everything is easy to get to, and it saves a lot of time on the trail when you’re just looking for that granola bar. Quality is top notch. The entire pack is built well, with quality stitching a burly materials that have held up quite well to being drug through bushes and briers, scraping around rocks faces, and being drug across limestone cliff platforms while trying to get access to my lunch. The zippers slide easy, and have yet to hang up, while the taut back panel has resisted any softening or sagging. It’s certainly a pack that’s going to last a while. The main clip in the middle of the bucket pocket, located in the center of the back of the pack, dangles awkwardly unless the pack is stuffed full. This is purely cosmetic, but I would like to see the ability to tighten this down further, eliminating the slack here. I really enjoy the CrossFlo suspension as it does wonders for ventilation and heat regulation, but the same frame also pushes the weight away from the spine a bit to allow the air in. This is no problem with most hiking situations, but if your’e scrambling and jumping across rocks with a heavy pack, you might feel the center of balance shift. 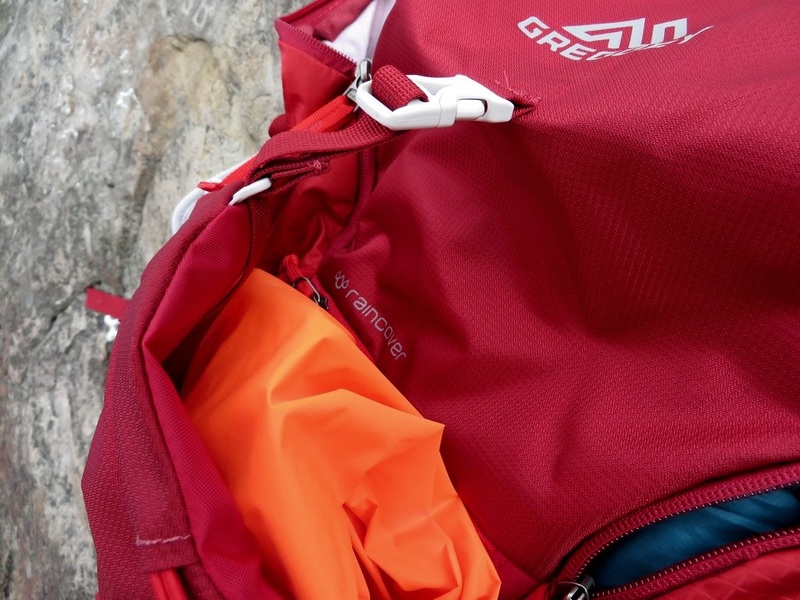 The Z 30 from Gregory is a great, lightweight pack that is still perfectly capable of carrying any load necessary for day trips and peak bagging. The CrossFlo suspension keeps me cool, while the EVA padding along the hips and shoulders keep me comfortable. 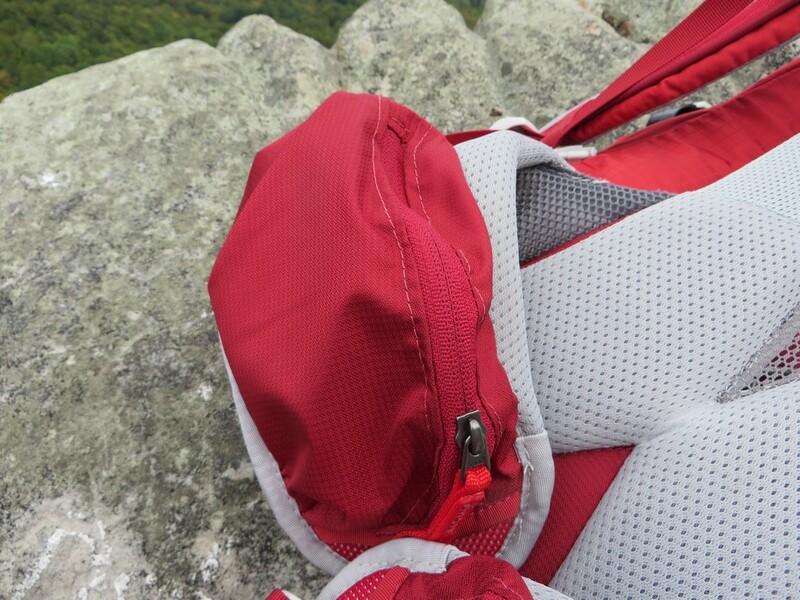 The pack is stable, durable, and provides excellent storage and organization. There is a place for everything, and everything stays in place. 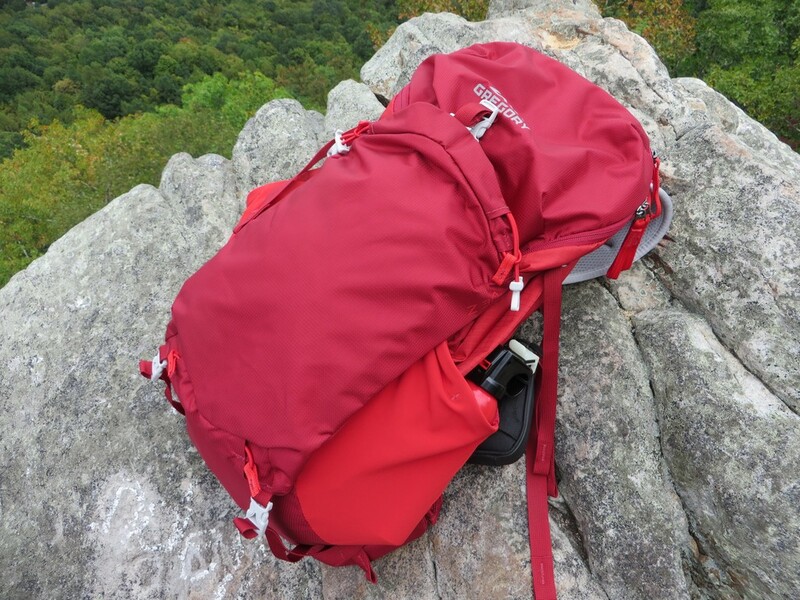 Aside from a slight shift in the center of balance, which is quite minor, the pack is exceptional in every way. I want to extend a big thanks to Gregory for their continued support and for providing us this backpack for review. Our full disclosure can be found here.